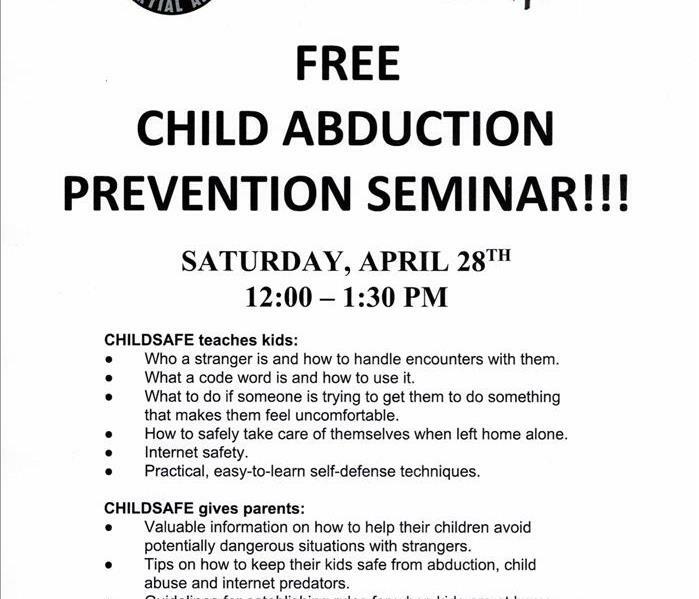 Tiger Schulmann's is hosting a free child abduction prevention seminar Saturday April 28th 12:00-1:30 pm. SERVPRO of Mount Ephraim Bellmawr recently participated as a HOLE SPONSOR at the SJ ELITE- JUCKETT GOLF OUTING on May 19, 2016. The SJ Elite 11U baseball team has been raising funds to help pay for a tournament taking place in Cooperstown, NY in 2017. The golf outing helped raise over $5,400 towards their week long tournament. SJ Elite also donated $250 of the funds that they raised to The Ronald McDonald House. Congratulations SJ Elite on getting closer to your fundraising goal! We, at SERVPRO, are proud members of our community. As a locally owned and operated business we not only work in the communities we serve.... but we live here too!